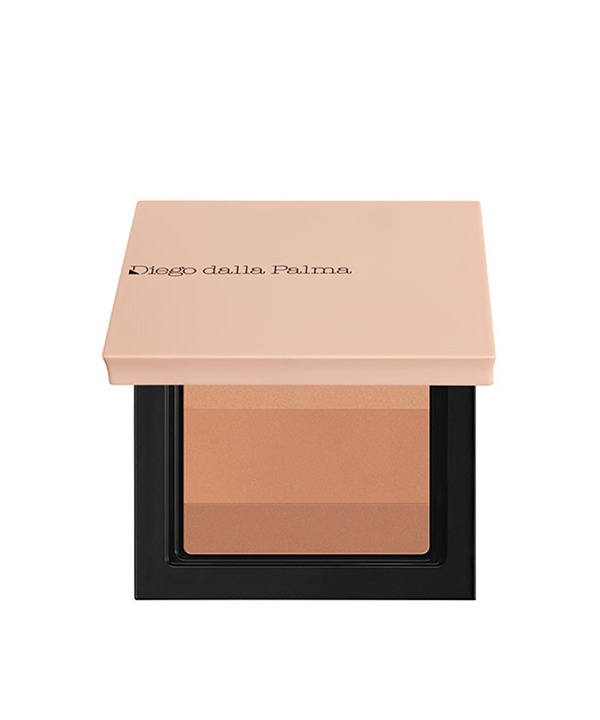 The shades are mixed together to obtain a single universal colour, suitable for any complexion. INGREDIENTS/COCTAB: TALC, ALUMINUM STARCH OCTENYLSUCCINATE, MICA, ZINC STEARATE, DIMETHICONE, POLYBUTENE, ETHYLHEXYL PALMITATE, OCTYLDODECANOL, CAPRYLYL GLYCOL, ISOPROPYL ISOSTEARATE, PHENOXYETHANOL, HEXYLENE GLYCOL, DEHYDROACETIC ACID, DISODIUM EDTA, LECITHIN, TOCOPHEROL, ASCORBYL PALMITATE, GLYCERYL OLEATE, GLYCERYL STEARATE, CITRIC ACID. MAY CONTAIN (+/-): CI 77891 (TITANIUM DIOXIDE), CI 77491 (IRON OXIDES), CI 77492 (IRON OXIDES), CI 77499 (IRON OXIDES), CI 15850 (RED 7 LAKE).